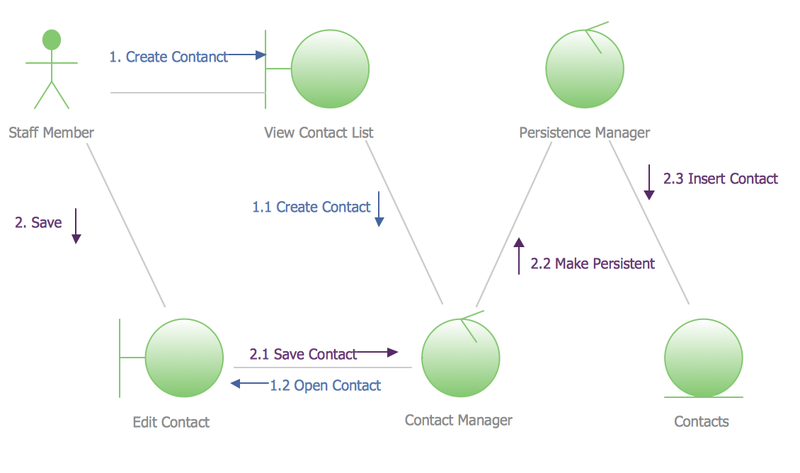 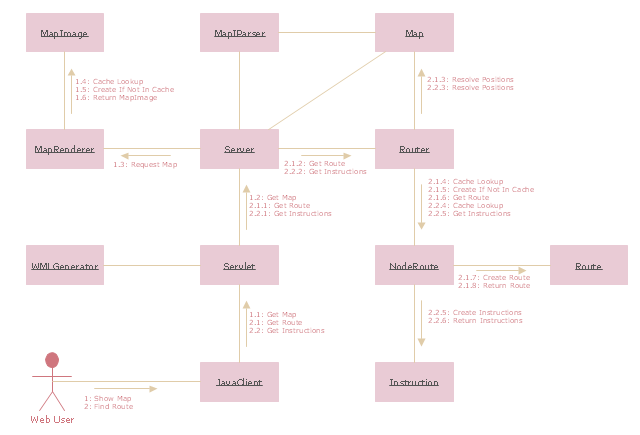 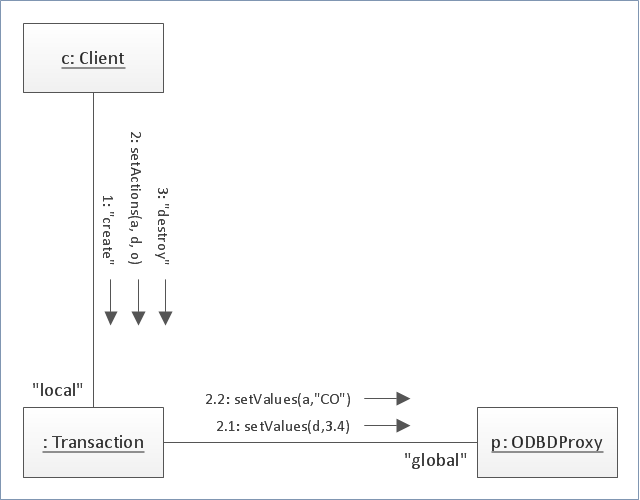 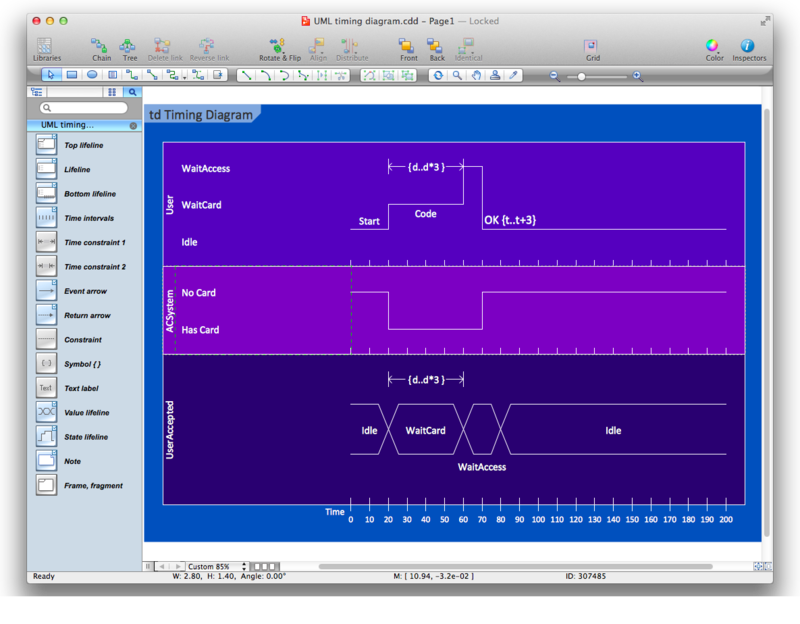 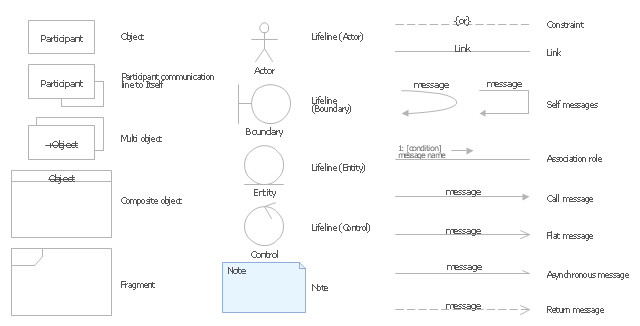 "Communication diagram (called collaboration diagram in UML 1.x) is a kind of UML interaction diagram which shows interactions between objects and/or parts (represented as lifelines) using sequenced messages in a free-form arrangement. 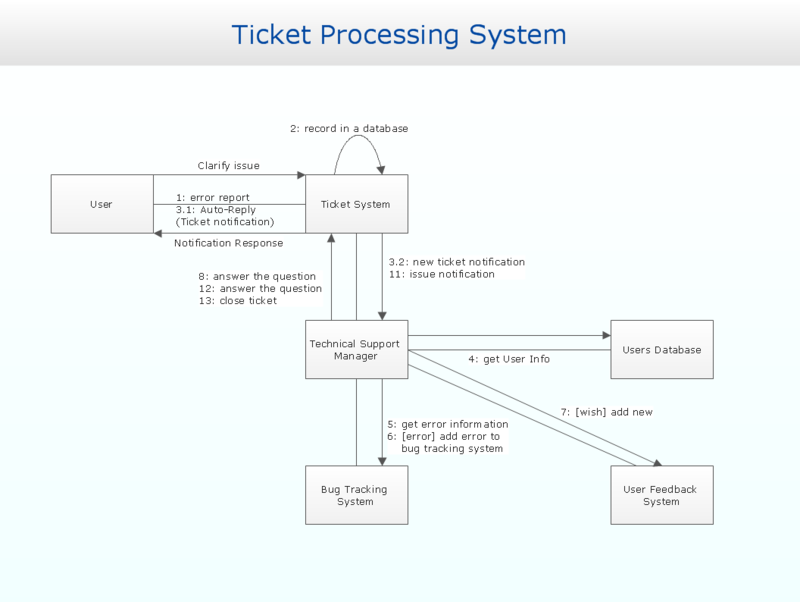 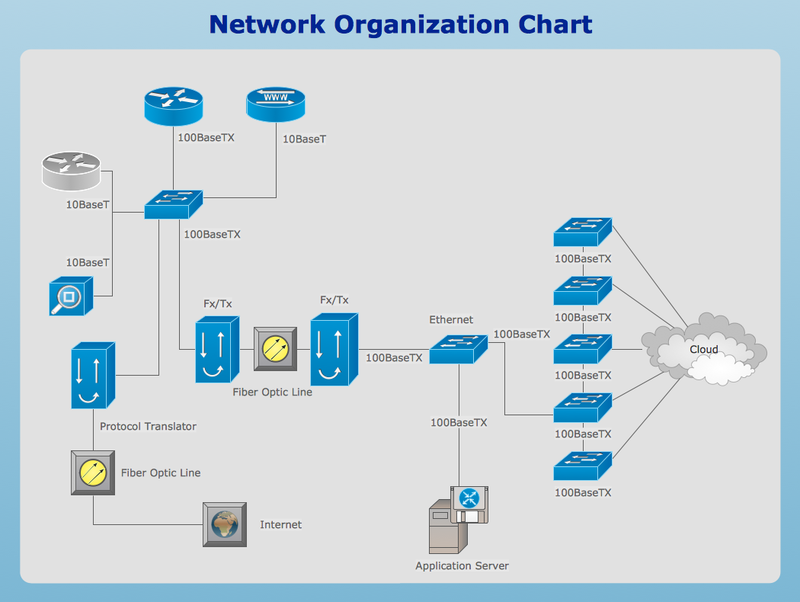 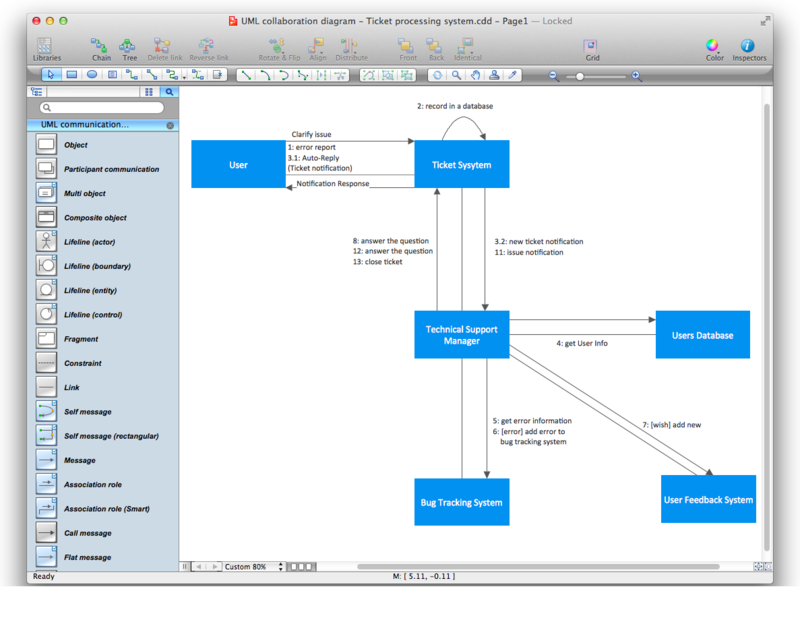 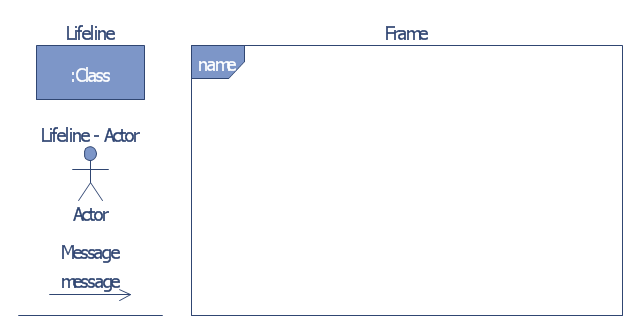 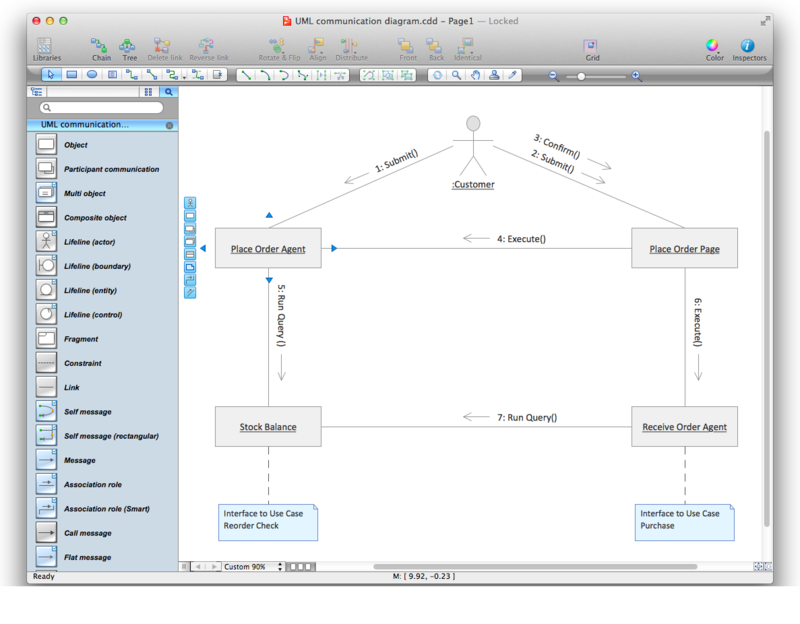 The template "UML communication diagram" for the ConceptDraw PRO diagramming and vector drawing software is included in the Rapid UML solution from the Software Development area of ConceptDraw Solution Park. 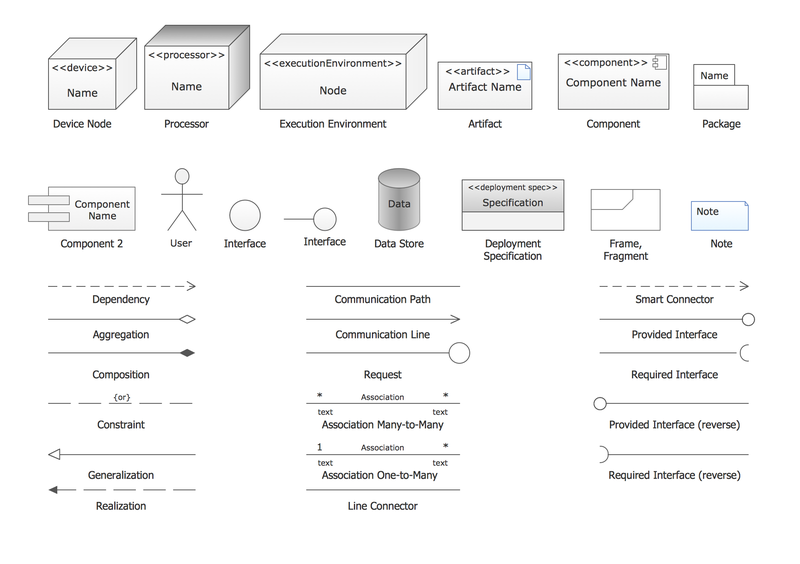 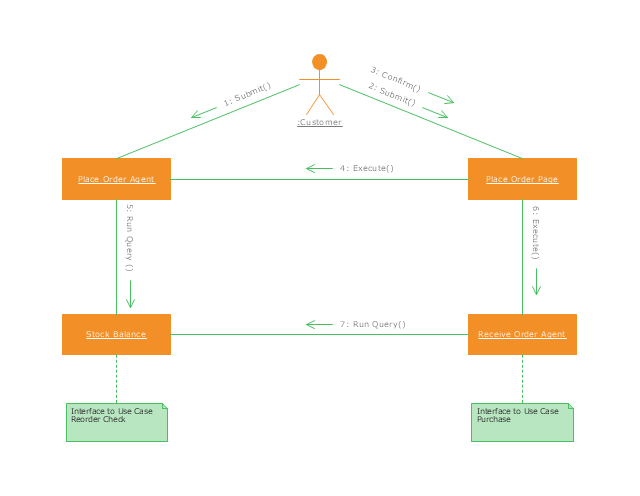 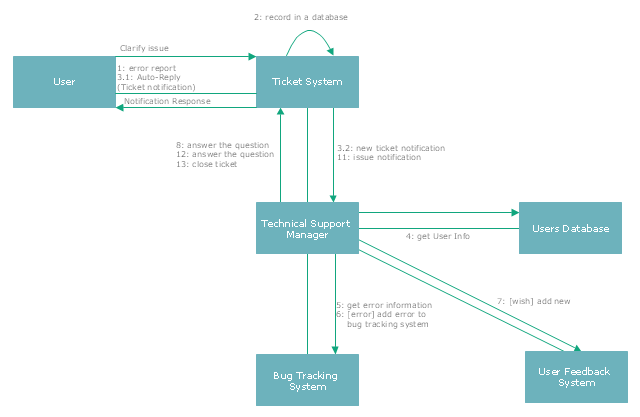 Communication diagrams show a lot of the same information as sequence diagrams, but because of how the information is presented, some of it is easier to find in one diagram than the other.